Authentic traditional leather bag by Schuhmacher with heart. The ladies' accessory from our online shop convinces with a floral heart in silver. The metal looks alive and natural. 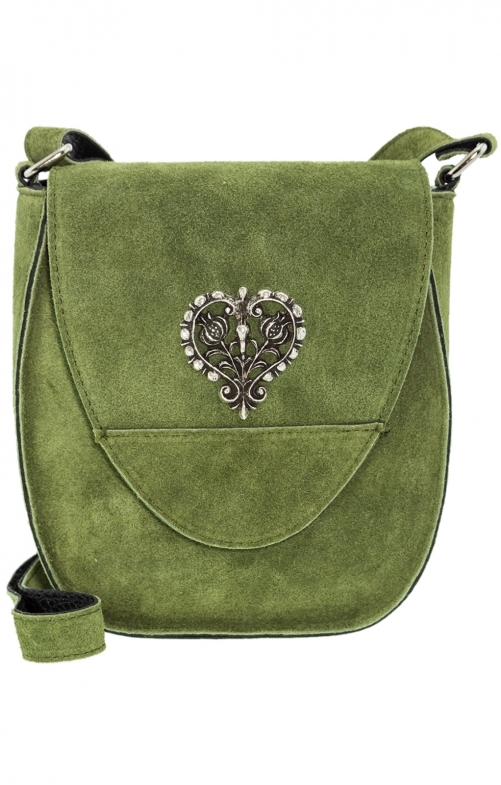 The women's handbag features a long shoulder strap and a handy magnetic closure. The saddlebag design and the colour predestine the bag for parties and parties.